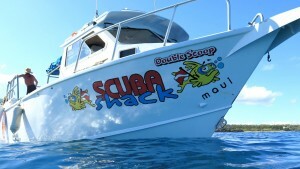 SCUBA Shack | The Best Dive Company on Maui. Scuba Shack loves diving. If you’re like us and enjoy being underwater more than you like being above water- welcome aboard! 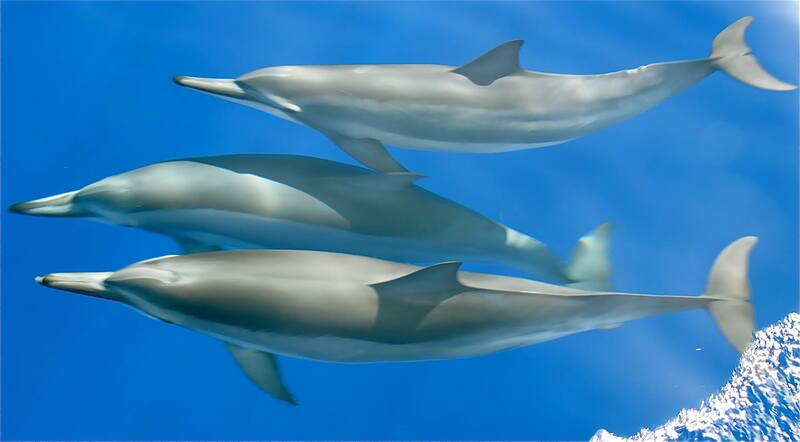 Our experienced crew is here to guide you through our amazing underwater world in the waters around Maui. With our unique valet diving we offer you excellent service, a custom designed dive boat, brand new state-of-the-art dive gear, great fun, good pricing and we even have a hot shower onboard. Give us a call and find out why we’ve been rated the #1 dive shop on Maui, Hawaii, and the entire Pacific and Indian Oceans! Maui’s fabulous dive sites abound so we’ve created a way to choose the best dives of the day based upon conditions, visibility, current and guest requests. Our first dive is typically done at Molokini as the visibility is world renowned and the variety of sea life and topography is amazing. 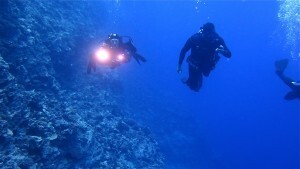 We offer six different dives at this location to fully showcase Molokini’ s splendor. Our second dives are done at sites along the South Maui Coast where abundant numbers of green sea turtles roam our warm tropical waters. There are also many lava tubes, caves and caverns waiting to be explored. The bubble cave and shark case are both guest favorites. To provide you the most amazing diving experience our dive sites are determined the morning of your dives which enables us to factor in weather conditions, visibility, currents and requests from guests. We also have a large number of repeat guest who dive multiple days and this allows us to “mix it up” for them and show them a different dive each day. Our extensive experience at diving the variety of sites at Molokini and along the South Maui Coast has taught us that all dive sites are different from day to day. A manta ray may hang in a certain area for a week at one location and then not come back for a month. 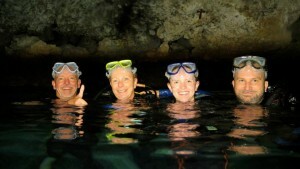 We try our best to provide you with he best dives available based on our knowledge of the area. Why take a boat when you can take a Jet…… driven 700 HP rocket? When Scuba Shack was founded by Forrest in 1997, he went to Almar in Seattle to create the most innovative and advanced boat in the dive industry. After 100’s of hours of meticulous planning “What’s the Scoop” was born. This was a high-tech cutting edge boat that offered every convenience and luxury available. In 2008 we took this boat and re-designed it with the latest and greatest technology and “Double Scoop” (named by Uncle Bob who’s been diving with us for 15 years) was born. 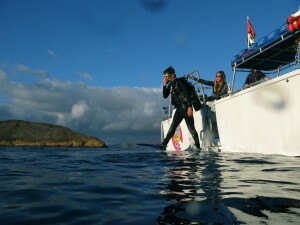 She is an amazing thing- fast, fun, comfortable and made just for you- our diving guest. The crystal clear waters of Molokini, one of three sheltered volcanic craters in the world, offer an abundance of sea life and an amazing snorkeling experience. Rather than being on of hundreds of guests on a large boat- treat yourself to an exclusive trip on Scuba Shack’s jet boat. With a maximum of 15 guests on board your snorkel experience is sure to be both unique and amazing. Whether you want to try scuba diving for the first time, have always dreamed of becoming a scuba diver so you can breathe underwater and explore a whole new world or want to take your dive skills to the next level- we can help you achieve your goals. We offer PADI instruction for Discover Scuba Diving (DSD), Jr. Open Water Certification, Open Water Certification, Advanced Open Water and Rescue Diver. 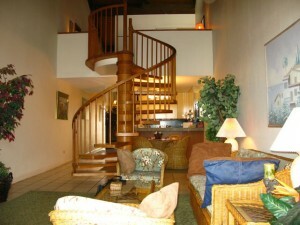 We have three beautiful choices for accommodations: two stunningly dramatic and elegant two story, two bedroom , two bath condos with 30 foot high vaulted ceilings and a fabulous solid oak spiral staircase with ocean and mountain views, and a quaint, secluded, quiet, nautically themed guest house with a loft second bedroom. All three are close to the beach in beautiful South Maui. Fully furnished, well equipped, with washer/dryers. Copyright © 1996-2018 Scuba Shack. All Rights Reserved.